* * Note: It has bracelet to set (NIT bracelet I DIA-III-). If you want to purchase the two pieces, we inform you beforehand to deactivate the shipping costs on ETSY, which will run to our account. 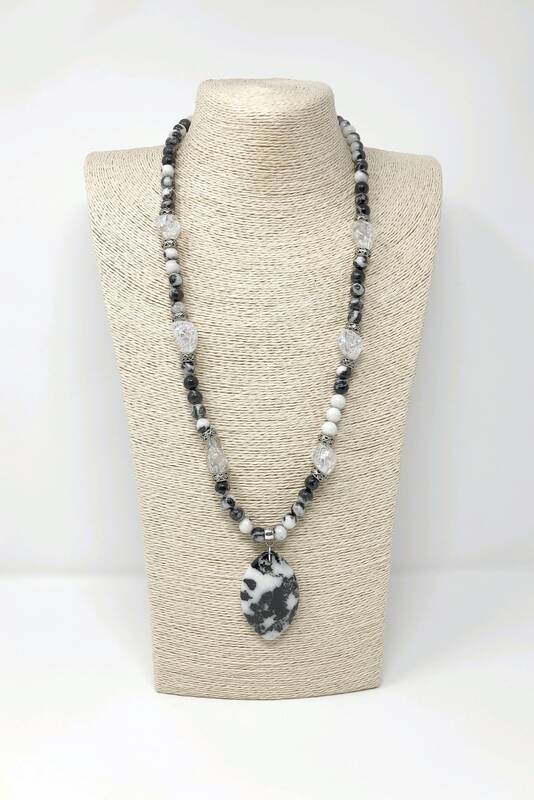 Zebra jasper beads and white quartz or rock crystal nuggets with silver beads and zebra jasper oval pendant. 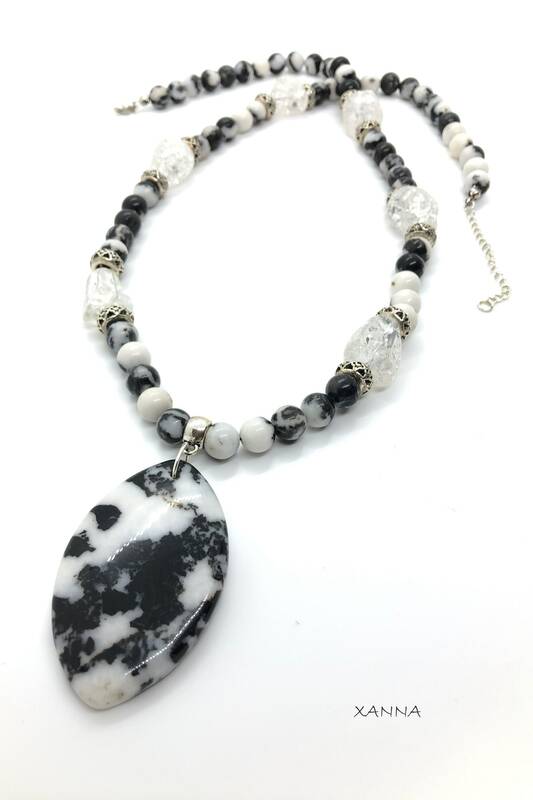 -Beads: Zebra Jasper White-Black (8mm), and white quartz or rock crystal nuggets (16-20x13-16 mm). In the Middle Ages he was considered the stone of the victors, who embedded in his swords, as was the case of Sigifrido who wore a jasper on the hilt of Balmung. 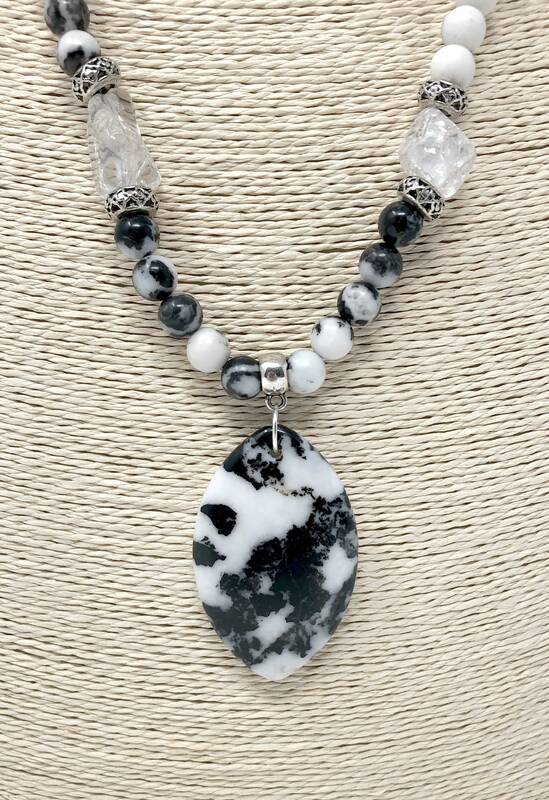 American Indians used Jasper in ceremonies to attract rain and divination. An ancient Egyptian king, Nechepsus, used to strengthen his digestive system. 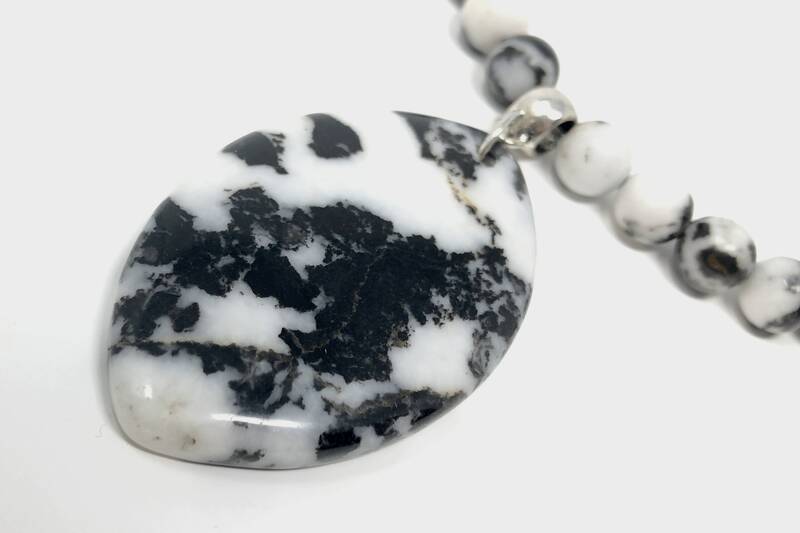 It is said that the zebra Jasper that stimulates communication and creativity. It also boosts the power of concentration. Recommended in all kinds of phobias and irrational fears. It is a stone of strong energetic vibrations, it imparts determination to all the purposes besides it helps us to be honest with ourselves. 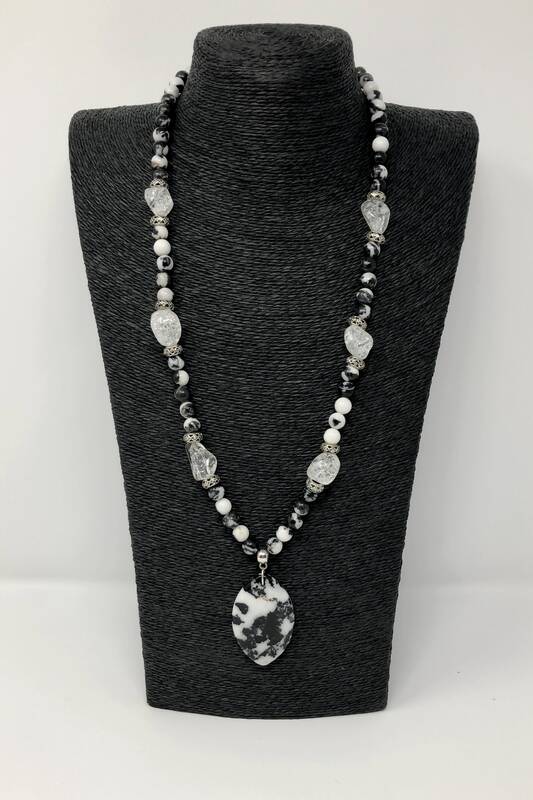 The Greeks thought that quartz was frozen ice, in all cultures it is considered a healing and magical stone, the quartz expelled the demons and the diseases, they used it like dispenser of force and energy. In China The Rock crystal was used to carve cult objects that were appreciated and considered symbols of power. 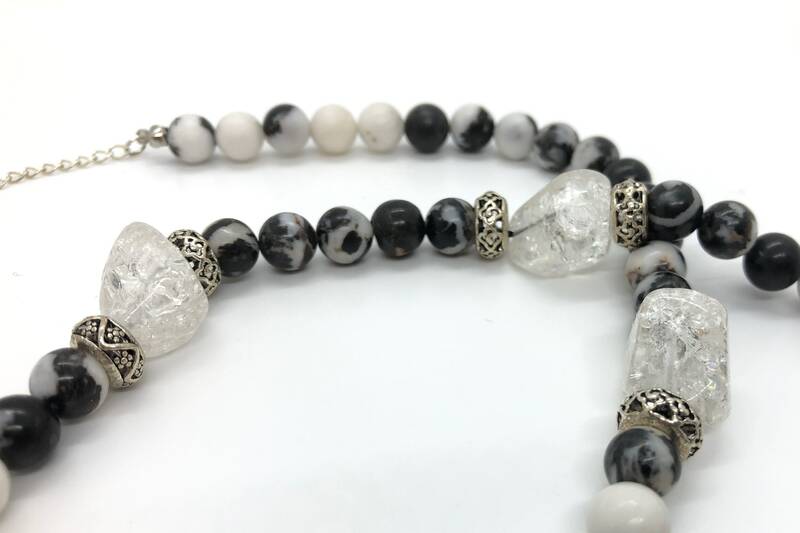 In Egypt they used rock crystal to make talismans, bracelets necklaces rings or other personal ornaments. 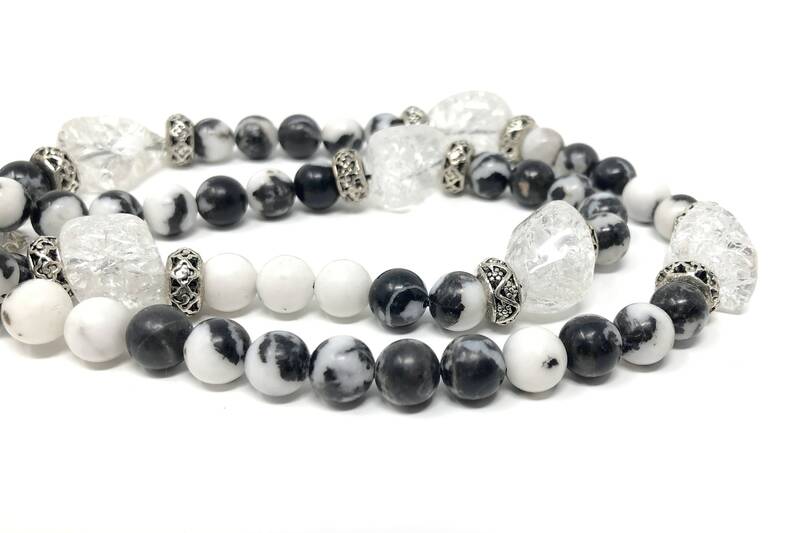 The Rock Crystal Quartz is the best cleaner and neutralizer of negative energies, the best choice for meditation. It is a mineral that helps us to think positively. It has a wide magnetic field with what is reinforced our energetic field, it is also a magnificent balancer of all our faculties absorbing all the negative energies. 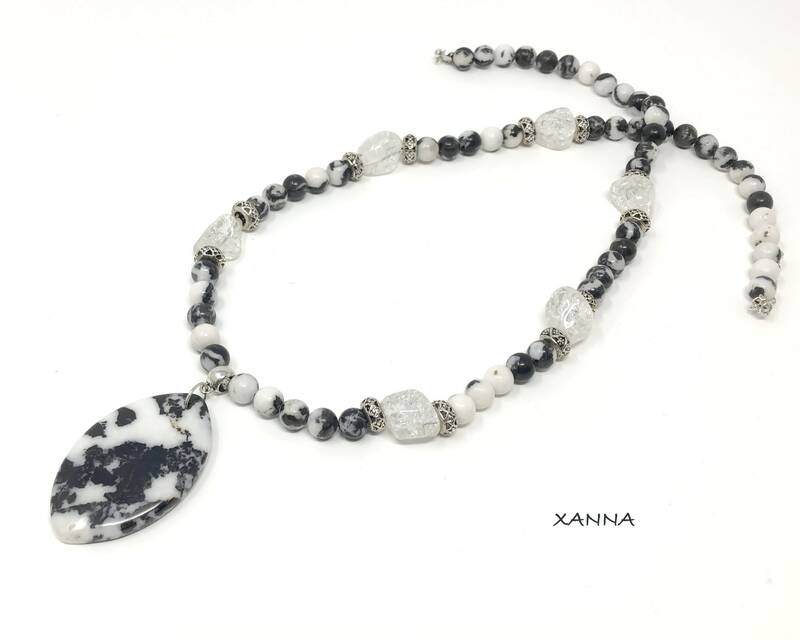 Feng Shui and Quartz: This mineral due to positive energy and good vibrations that contribute to the home, favors the relationship with the sentimental framework.